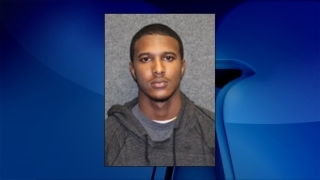 A Leesburg, Virginia, man has been indicted for the death of his nine-month-old daughter, more than a year after the little girl died. Diamante Travon Ellis, 23, was arrested Wednesday. Police say he has been charged with second-degree murder, felony child neglect/abuse and felony murder. On Oct. 2, 2014, Ellis' daughter, 9-month-old Devyn Ellis, was airlifted to Children's National Medical Center. There, doctors found the baby had injuries "consistent with blunt force trauma," court documents state. Police say the baby had "multiple broken ribs, some which appeared to be old injuries that were healing." The family told police that Devyn's "ribs were broken because she likes to hit herself in the chest," the document reads. Diamante Ellis told police he was feeding Devyn when she went limp. Her death was ruled a homicide in April. Earlier this year, Devyn Ellis' parents had another baby girl. Diamante Ellis was barred from seeing the baby by a protective order. He appeared in court Thursday morning, and was ordered held without bond. A public defender has been appointed.